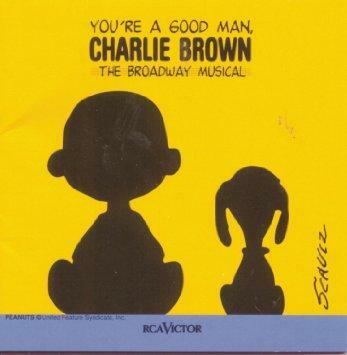 The 1999 revival version of You're A Good Man, Charlie Brown is kicking off the summer musicals season. Director Becky Griffin said the production is based on a 1999 revival of the show, which first opened off-Broadway in 1960. Griffin says the musical started out as a "concept production" and still today carries with it the episodic feel that will be familiar to the lovers of the comic strip. A quintessential show about childhood angst, you will find most of the familiar Peanuts characters in it: sensitive Linus, controlling Lucy, high-strung Schroeder, wily Snoopy and philosophical Charlie Brown, struggling to fit in. Griffin said it's a great show for high school actors, but the childhood struggles it portrays will resonate with adults. "We all grew up in some way with Charles Schultz's characters. We watched "The Great Pumpkin" at Halloween or the "Charlie Brown Christmas Special" or read the comics every day in the newspaper. I feel like when you come to see the show, it's a chance to step back and remember what it was like when you were a little kid," Griffin said. Griffin called musical theater is a character-building exercise for young people. "They get to learn to work as a team, and music is a great way to expand the mind. The most important thing is that the kids who do theater form their own tribe and become a family, even if it's just for the length of time we're in rehearsal. They form friendships that will last for years," she added. Many alumni of the theater program come back to mentor others. The entire production team for this year's staging of "Charlie Brown" were involved, like Griffin, in the summer musicals program when they were in high school. The next Normal parks department production, "The Little Mermaid," plays July 14 to 17 and July 21-24. There are some other musical productions coming up in July. "Beauty and the Beast" is at the Community Players in Bloomington July 8-10; July 14-17 and July 21-24. The Miller Park summer musical this year is "Bye, Bye Birdie," playing July 28-31. Performances of "You're A Good Man, Charlie Brown" begin at 7:30 p.m. Listen to the full interview with excerpts of musical numbers from the show. A little known trivia fact about "You're A Good Man, Charlie Brown" is that the original Charlie Brown was portrayed by actor Gary Burghoff, who would go on to play Radar on the TV series M.A.S.H.